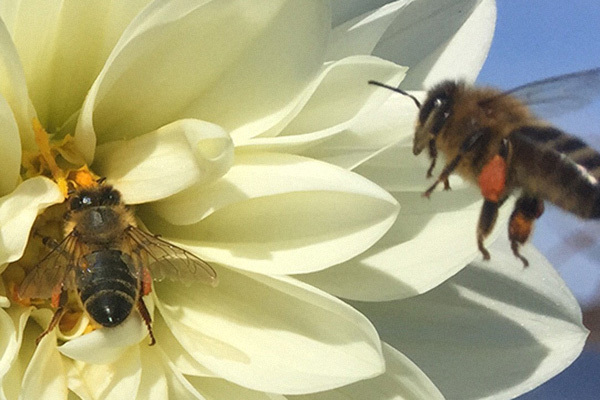 How do honey bees collectively affect their community, ecosystem, and the world? Tell the class that they will be facing a series of 3 challenges that require total silence. (Teachers: Challenge Cards can be found in the full lesson.) Choose a different leader for each challenge. One by one, have a leader read the challenge card to him or herself and then try to get the group to complete the challenge without using any words. Complete each of the 3 challenge cards in this manner until the challenges have been accomplished. Draw a hive and a flower some distance from it and ask the students, What two things would a bee need to know to get from the hive to the flower without a map? Each student should read Honey Bee Dances. Have students get up and recreate the honey bee “dance” steps on their own. View the video Honey Bee Dancing. Divide students into 3 groups and assign one of the following to each: fruits, vegetables, or nuts. Each group should come up with a list of examples from their category. Rotate the categories around allowing each group to add as many examples to the lists as possible. Discuss the food web and pollination. 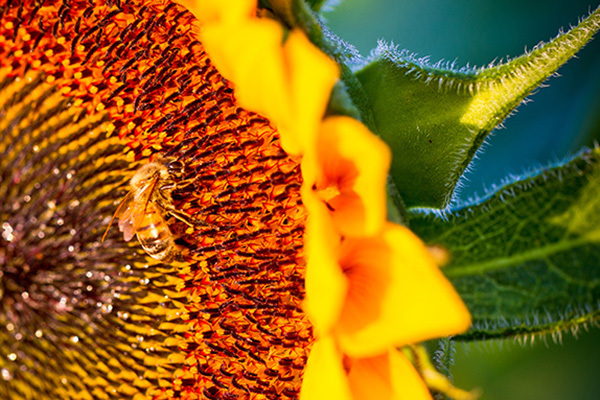 Have students read Pollination, highlighting or underlining the main idea in each paragraph. Read all the highlighted or underlined sentences together. Complete the event web at the bottom of the reading page. Play the Pollination games found in the lesson. During these 2 games, students are reminded of the types of pollination that they have studied: wind pollination and pollinators. Complete each game as described, with students answering the questions that are passed around the classroom on balls of paper. 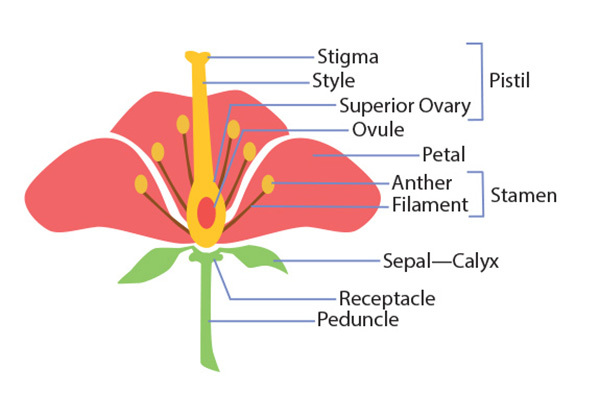 Have students use the Pollination Diagram for the writing assessment, keeping in mind the diagrams and main events that were discussed during the lesson. Have each student write down one way they would communicate without words if they had to. 4.5: The student will investigate and understand how plants and animals, including humans, in an ecosystem interact with one another and with the nonliving components in the ecosystem. Organisms also have behavioral adaptations, or certain types of activities they perform, which help them meet a life need. Within a community, organisms are dependent on the survival of other organisms. Energy is passed from one organism to another. A niche is the function that an organism performs in the food web of that community. A niche also includes everything else the organism does and needs in its environment. No two types of organisms occupy exactly the same niche in a community. 4.6: The student will read and demonstrate comprehension of nonfiction texts. d) Identify the main idea. 4.7: The student will write cohesively for a variety of purposes.